All I could think was "Holy *bleep* that stuff came from Target!?" 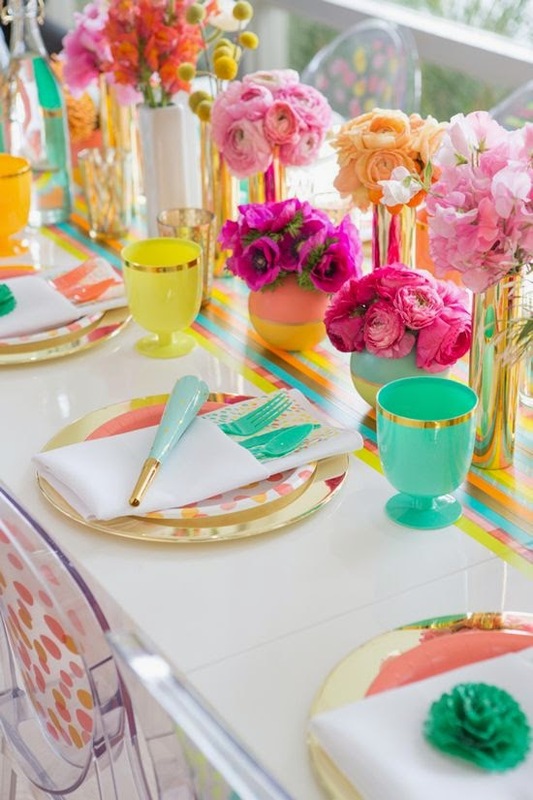 How cute is that table and you can get that fun bright stuff from Target! I of course had to get a couple items for a dinner party I now want to throw in honor of how cute it is. In person these are so bright and fun! They will make the table and I think look so cute with my gold polka dot china. 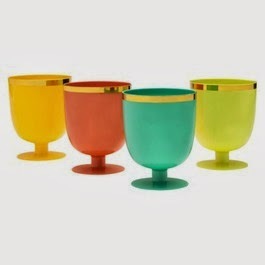 Plus, they are great plastic cups for outdoor drinks! 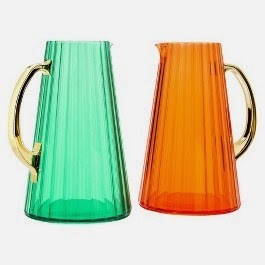 I had to get the emerald green pitcher....it is just so me! I love their idea of using the cake letters in flowers. 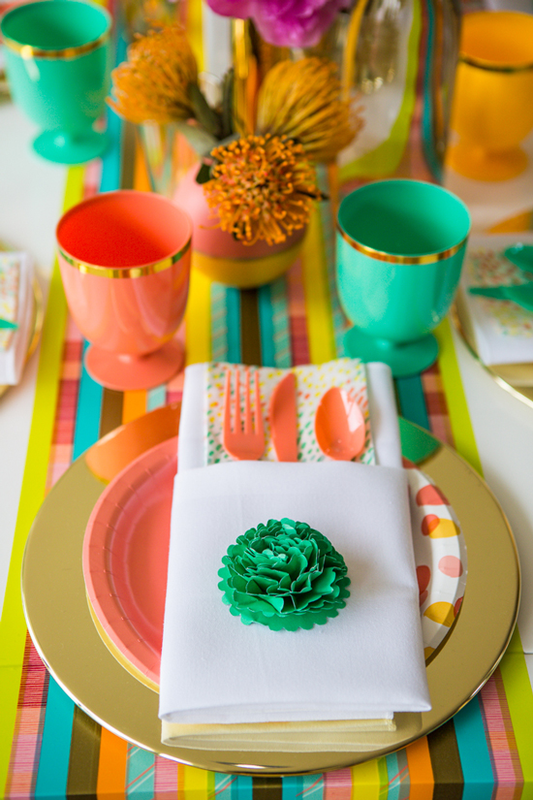 Such a fun place setting.